Jerusalem, Israel. 1st June, 2016. 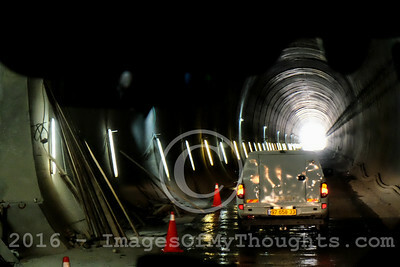 Israeli President Rivlin's convoy travels underground through tunnels under construction as Rivlin visits construction sites of the Fast Rail to Jerusalem. 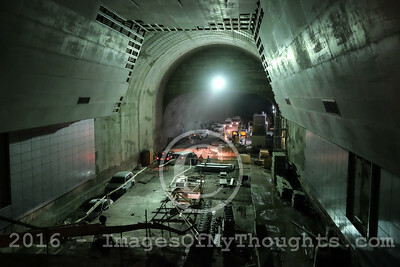 Planned for operation in 2018, this 7 billion NIS project will connect Tel Aviv to Jerusalem in less than 30 minutes utilizing five tunnels exceeding 20Km in total length, some of them 250 meters below ground level, and eight bridges with a total length of 3.5Km. The Jerusalem Station is being built 80 meters below ground level and will also serve as a public shelter if the need arises. Jerusalem, Israel. 1st June, 2016. 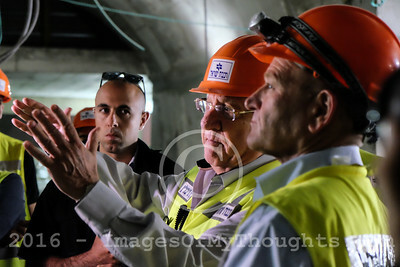 President of the State of Israel, Rivlin, visited the construction sites of the Fast Rail to Jerusalem. 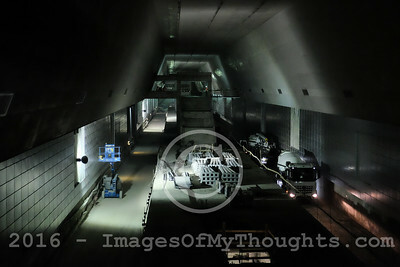 Planned for operation in 2018, this 7 billion NIS project will connect Tel Aviv to Jerusalem in less than 30 minutes utilizing five tunnels exceeding 20Km in total length, some of them 250 meters below ground level, and eight bridges with a total length of 3.5Km. 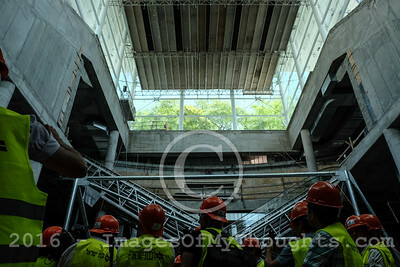 The Jerusalem Station is being built 80 meters below ground level and will also serve as a public shelter if the need arises. Jerusalem, Israel. 1st June, 2016. 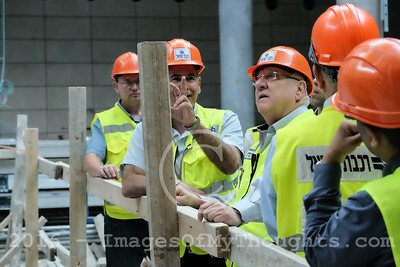 President of the State of Israel, REUVEN RIVLIN (C), receives instruction by Israel Railways Corporation employees in the underground Jerusalem Train Station under construction. 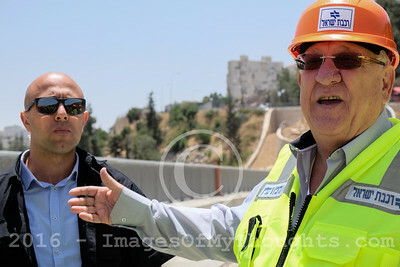 The President visited the construction sites of the Fast Rail to Jerusalem. Planned for operation in 2018, this 7 billion NIS project will connect Tel Aviv to Jerusalem in less than 30 minutes utilizing five tunnels exceeding 20Km in total length, some of them 250 meters below ground level, and eight bridges with a total length of 3.5Km. The Jerusalem Station is being built 80 meters below ground level and will also serve as a public shelter if the need arises. Jerusalem, Israel. 1st June, 2016. 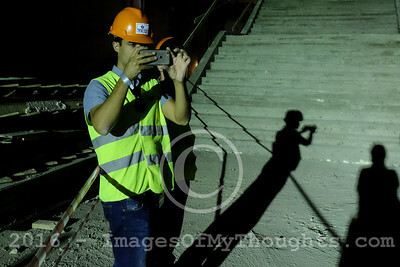 President of the State of Israel, REUVEN RIVLIN, adjusts his hard hat as he walks on Bridge 10, which is 960 meters long and 95 meters high. 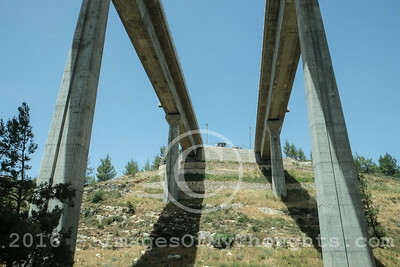 The President visited the construction sites of the Fast Rail to Jerusalem. Planned for operation in 2018, this 7 billion NIS project will connect Tel Aviv to Jerusalem in less than 30 minutes utilizing five tunnels exceeding 20Km in total length, some of them 250 meters below ground level, and eight bridges with a total length of 3.5Km. 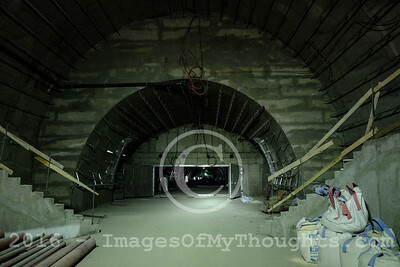 The Jerusalem Station is being built 80 meters below ground level and will also serve as a public shelter if the need arises. Jerusalem, Israel. 1st June, 2016. 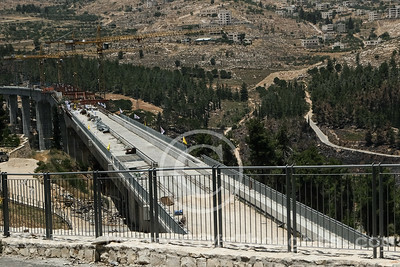 President of the State of Israel, REUVEN RIVLIN, remarks as he walks on Bridge 10, which is 960 meters long and 95 meters high. 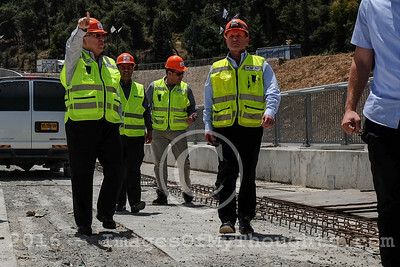 The President visited the construction sites of the Fast Rail to Jerusalem. Planned for operation in 2018, this 7 billion NIS project will connect Tel Aviv to Jerusalem in less than 30 minutes utilizing five tunnels exceeding 20Km in total length, some of them 250 meters below ground level, and eight bridges with a total length of 3.5Km. 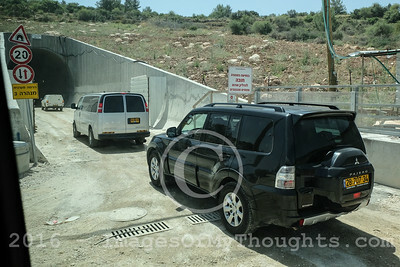 The Jerusalem Station is being built 80 meters below ground level and will also serve as a public shelter if the need arises. Jerusalem, Israel. 1st June, 2016. 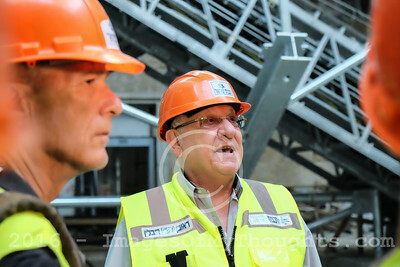 President of the State of Israel, REUVEN RIVLIN (C), remarks in the underground Jerusalem Train Station under construction. 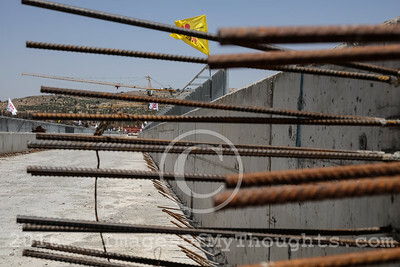 The President visited the construction sites of the Fast Rail to Jerusalem. 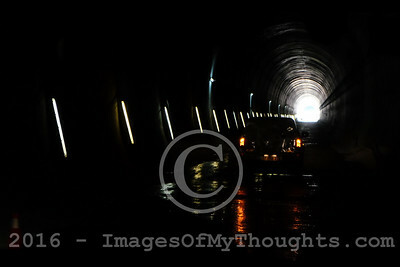 Planned for operation in 2018, this 7 billion NIS project will connect Tel Aviv to Jerusalem in less than 30 minutes utilizing five tunnels exceeding 20Km in total length, some of them 250 meters below ground level, and eight bridges with a total length of 3.5Km. The Jerusalem Station is being built 80 meters below ground level and will also serve as a public shelter if the need arises. Jerusalem, Israel. 1st June, 2016. 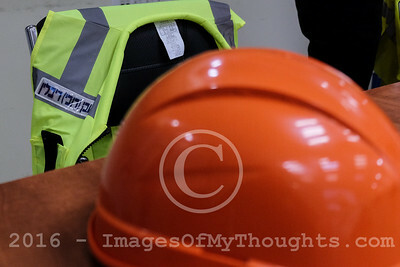 A safety vest with the President's name and a hard hat await President Rivlin, who is visiting the construction sites of the Fast Rail to Jerusalem. Planned for operation in 2018, this 7 billion NIS project will connect Tel Aviv to Jerusalem in less than 30 minutes utilizing five tunnels exceeding 20Km in total length, some of them 250 meters below ground level, and eight bridges with a total length of 3.5Km. The Jerusalem Station is being built 80 meters below ground level and will also serve as a public shelter if the need arises. Jerusalem, Israel. 1st June, 2016. 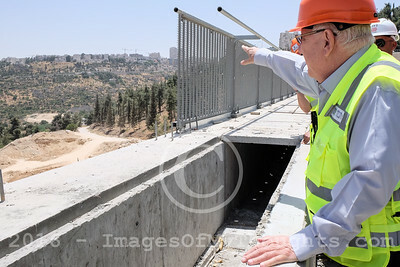 President of the State of Israel, REUVEN RIVLIN (L), points his finger as he walks on Bridge 10, which is 960 meters long and 95 meters high. 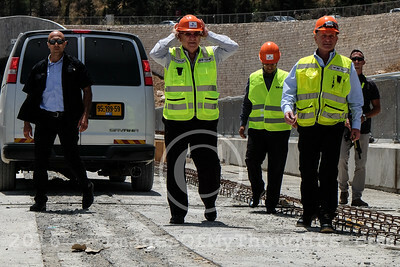 The President visited the construction sites of the Fast Rail to Jerusalem. Planned for operation in 2018, this 7 billion NIS project will connect Tel Aviv to Jerusalem in less than 30 minutes utilizing five tunnels exceeding 20Km in total length, some of them 250 meters below ground level, and eight bridges with a total length of 3.5Km. The Jerusalem Station is being built 80 meters below ground level and will also serve as a public shelter if the need arises. Jerusalem, Israel. 1st June, 2016. 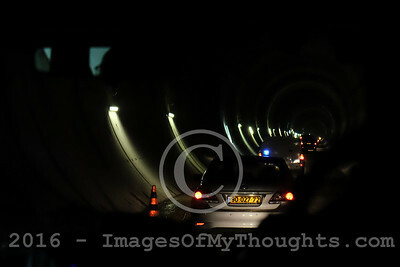 Israeli President Rivlin's convoy enters Tunnel 3, under construction, as Rivlin visits construction sites of the Fast Rail to Jerusalem. Planned for operation in 2018, this 7 billion NIS project will connect Tel Aviv to Jerusalem in less than 30 minutes utilizing five tunnels exceeding 20Km in total length, some of them 250 meters below ground level, and eight bridges with a total length of 3.5Km. The Jerusalem Station is being built 80 meters below ground level and will also serve as a public shelter if the need arises.